Manchester Ideal Home Show June 2014. Once again we are heading to the Ideal Home Show, but this time in our home town of Manchester! We can’t wait to be part of this great show, and within the familiar walls of Event City. The show will take place from Friday 6th June until Sunday 8th June, with a late night opening on Friday until 8pm! The show includes everything from home interiors to garden landscaping, an interest for anyone attending. Shoppers also get the chance to explore thousands of products, exclusive show offers and items you won’t find on the high street. A great day out for anyone. 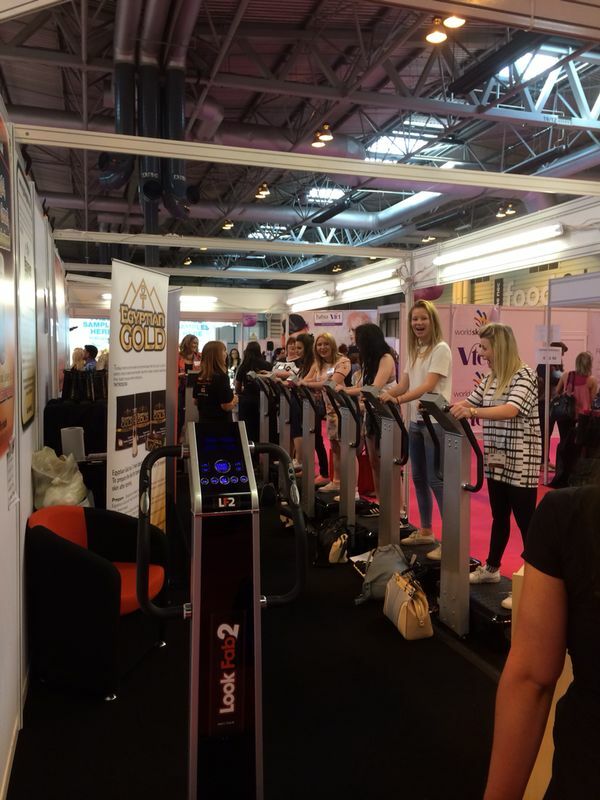 We will be exhibiting on stand W331 where we will be taking along our fantastic LF2 vibration plates, and we also have stand W330 which will include our lovely Egyptian Gold facial range. The LF2 vibration plate is a perfect way to tone up before the summer, without any of the hard work, exercising at the gym. We all have busy lifestyles nowadays, whether that includes working, looking after the children, housework etc, by using the LF2 for just 10 minutes a day you will drop those un wanted inches within 3 weeks, and even drop a dress size! With the Ideal Home Show being in Manchester we can offer all local residents 3 different rental options which include 4, 8 or 12 week rental periods. 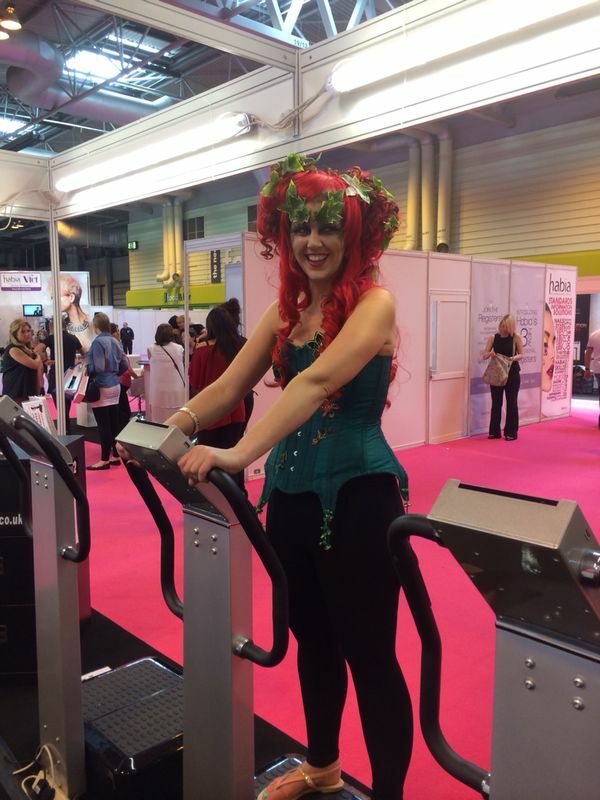 All we ask for at the show is a small deposit of £25 to confirm your booking, however if you want a 10 minutes session whilst at the show, this is FREE! 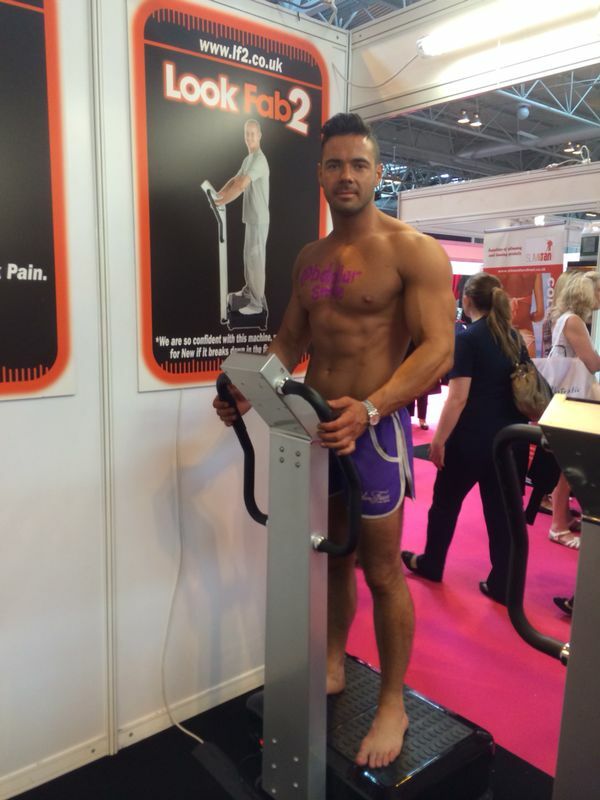 Just come along and jump on the LF2 for your free go! We also have commercial options available so if you’re thinking of introducing something new into your business this is a great way to increase foot flow, profits and reputation! Just ask our staff at the show for more information. Once you’ve had your turn on the LF2 come along to the Egyptian Gold stand just next door for a demonstration of the beautiful Egyptian Gold facial mask and serum. Fragrance free and hypoallergenic it’s great for anyone who has sensitive skin or allergies. Egyptian Gold has also been designed to deeply hydrate and nourish the skin. With regular use Egyptian Gold will help the skin to retain its natural moisture, and will also boost elasticity due to the active ingredients within and reverse the signs of ageing. At the show you can purchase 3 silk facial masks and 1 serum in a beautiful gift set for just £10, RRP £45! BARGAIN! A lovely gift for birthday’s or special occasions. We look forward to meeting you all, over the weekend, and hope you have as much fun shopping as we do exhibiting! See you soon!! 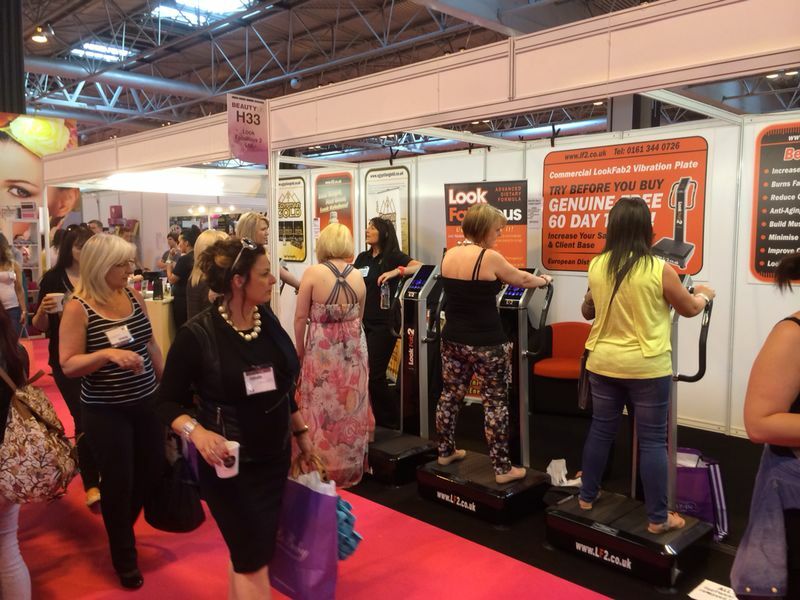 Birmingham Beauty UK Show May 2014. We had a great time at the Birmingham show this weekend. Spoke to some lovely business owners who are very interested in the LF2 vibration plate to increase their profits and foot flow for their businesses. 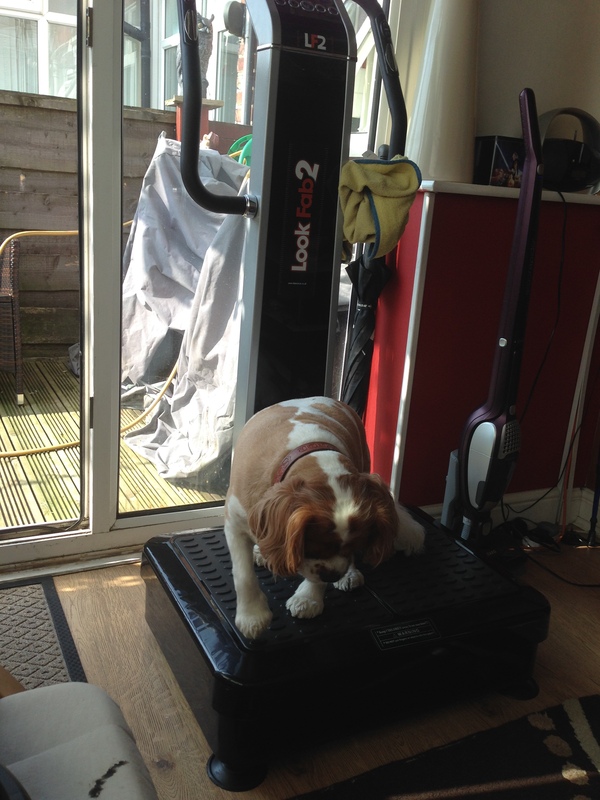 The LF2 vibration plate is a great way of creating new customers, especially if it’s a new salon, it’s a brilliant way to entice new customers by introducing new ideas like the LF2! We can’t wait for feedback from the owners once the LF2 has been installed into their businesses, to see how they’re getting on. 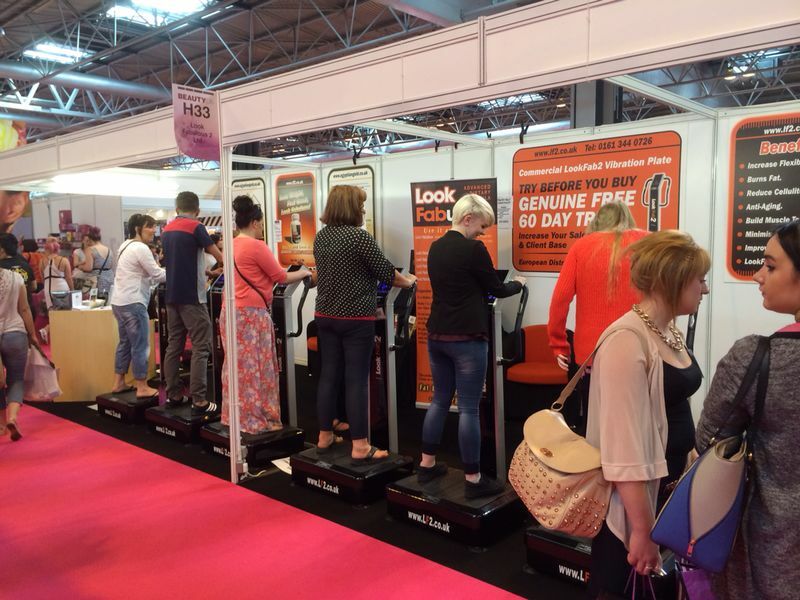 As well as salon owners we also had a different array of people interested in the LF2! All of which enjoyed their free go on the machine for a full 10 minutes session. All lovely people and they even let us take pictures of them whilst using the LF2! They were all great sports and we had a brilliant time meeting them all! Hope you enjoy the pictures below, and if you see yourself make sure to let us know and ‘Like’ it on our Facebook page, or ‘Retweet’ it on our Twitter page. (Links can be found below). We have received some great images for our competition and to be entered into our awards ceremony! We will make sure we keep the website and blog up to date with all the entries to ensure you don’t miss out on your chance to vote for your favourite. Remember if you have a favourite then make sure you log onto your Facebook or Twitter page then either ‘Like’ ‘Share’ or ‘Retweet’ the image or video, to ensure your favourite is in for a chance of winning! Competition ends 30th May and the winner will be announced soon after! Look below for some of our recent entries.